I often speak with home buyers who are looking for their first home in Colorado Springs but don’t know where to start. The process can be exciting and exhilarating, but also quite intimidating. There are plenty of new terms and processes to understand-FHA loans, down payments, credit scores, mortgage lenders and more. It’s a lot to navigate, and pitfalls lurk all around. To me, home buyer education is just as important as finding the right property. I always strive to have my clients understand the process behind each step of the way. Below, I listed some of the top issues I’ve seen first time home buyers experience. 1. You didn’t get pre-approved for a loan. It lets you know what your financial limits are in your home search. 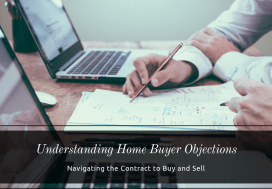 When you are ready to make an offer, this pre-approval will support your offer because it proves you are a serious buyer and you have funds ready for the home purchase. It will speed up the lending process in case a quick closing is necessary. A pre-approval is always a smart idea, as there’s no obligation to take on a loan. It’s an easy way for you to know your financial limits for when you begin shopping around for different loan programs. 2. Not considering additional monthly payments. You have your pre-approval letter. Awesome! However, the purchase amount that your bank is willing to finance might not be the amount that you are actually comfortable with. Have you given thought to home owners insurance? How much are your local taxes? Monthly Home Owners Association (HOA) dues. Additional utility cost (water, heating cost) if your new home or lot is larger than what you had in your rental. We always recommend you work with a realtor and a tax professional to chart out all potential expenses you might incur. There are many programs out there to help home buyers, like second mortgage or down payment assistance programs. In fact, you might even find ways to save money, like certain Colorado housing tax incentives or first time home buyer programs, after speaking to a professional. 3. You can’t see “the good bones” of a home. The location is great, the price is right, perfect number of rooms. Everything adds up but you just seem not to be able to see past the dated decor, the brass fixtures, maybe even some deferred maintenance. Maybe you really don’t want to do any work and move right in? There is a price for updated, perfect and “move in ready”. Are you willing to pay the price? Take a step back and think about it: It is often cheaper to do some home improvements yourself to save money. Most likely you’ll still save some cash if you hire a contractor to do the updates. If you have the vision, you will likely save money off the purchase price AND the chance of finding yourself in a multiple offer situation (which actually drives the price UP) is less likely. 4. You didn’t believe the mantra: Location, Location, Location. Have you done your neighborhood homework?  Your real estate agent is more than just the person who can sell you a home in Denver or Colorado Springs. Indeed, they are happy to provide more information. Ask your real estate agent about home values in your neighborhood in the last 12 – 24 months. Drive the neighborhood at night. Maybe you’ll see the neighborhood in a new -excuse the pun- light. Chat with the neighbors. Ask them questions about previous owners and things that happen in the neighborhood. You’ll be surprised what neighbors want to you to know. Take a look at your closest schools. 5. Being too picky or too swift in your decision. Tell your real estate agent what you want in a house! Dream! However, when it comes down to it you might have to compromise. The choice might be simple but raw: either compromise or keep on renting until you can afford everything that’s on your list. On the other hand, don’t be swept away by minimal but effective upgrades that you end up paying lots of money for. If this one particular house has what NO other property offers, by all means, go for it. Just don’t be impressed by ‘bling’. Real value is what you are looking for. Ideally, search for a home that you can add value to yourself. 6. Buying the most expensive house on the block. If you have the home of your dreams you really don’t consider moving. In short, you’re are happy and you have the most expensive house on the block. Good for you. However, if you are like most homeowners you will sell your home within 5 to 7 years after the home purchase. Your future buyers will want to buy a $500,000 home in a $500,000 neighborhood. Quite frankly, all the lower values will actually pull yours down. 7. You didn’t have a home inspection. As a future new homeowner, you want to make sure that you get exactly what you are paying for. Get the home inspected to learn what condition the house is really in. A home inspection is also a negotiation tool to lower the price or to get out of the contract if the condition is completely unacceptable. 8. You used the sellers agent-what can go wrong? As a buyer, you do not have to pay for any real estate agent services. The seller pays for that. A buyer’s agent will be your advocate and guide you through the home buying process. If the involved agent is the seller’s agent his interest lies in the seller only. If he is a transaction broker, then he basically just makes sure the sale/purchase is completed without recommendations, suggestions, or advice. 9. You forgot about closing costs. Closing costs are an essential part of buying a home, but sometimes get overlooked. These are various expenses that need to get paid prior to you getting the keys to the house. Governmental expenses, lender fees, realtor commissions, and more are all considered closing costs. You should budget between 3 to 5 percent of your overall home costs for closing costs. This can be unexpected for a first time home buyer. Not only must you get approved for various loan options, but you need enough money in your savings account to pay for these additional costs. If you do not have this money handy, there are closing cost assistance programs that help manage payments. 10. Spending big while you are on the house hunt. While you are on the house hunt keep your spending to a minimum. No you don’t have to go hungry! Simply don’t buy a truck or run up a credit card bill. Even though a lender has pre-approved you, when your income limits have changed so will your lender’s opinion on your credit worthiness. 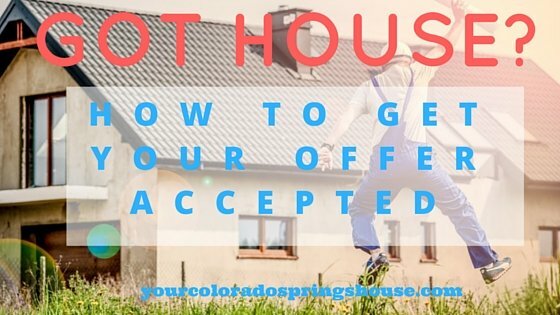 Buying a home in Colorado Springs is a big decision. 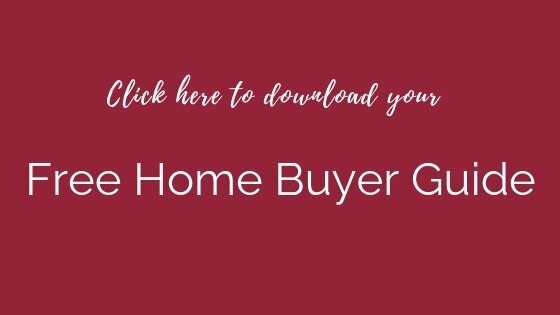 If you are a first time home buyer, we highly recommend taking a home buyer education course or speaking to your real estate agent in detail about the process. With the right knowledge, even those with moderate income can navigate home loan programs, tax incentives, and mortgage credits. There are plenty of resources to help, like CHFA loans (Colorado Housing and Finance Authority) that a home buyer can tap into to lower their financial obligations. Ultimately, with the right planning, even on a low income you can fulfill your dreams of owning a home. There is no reason to miss a mortgage payment, and we can help insure that. 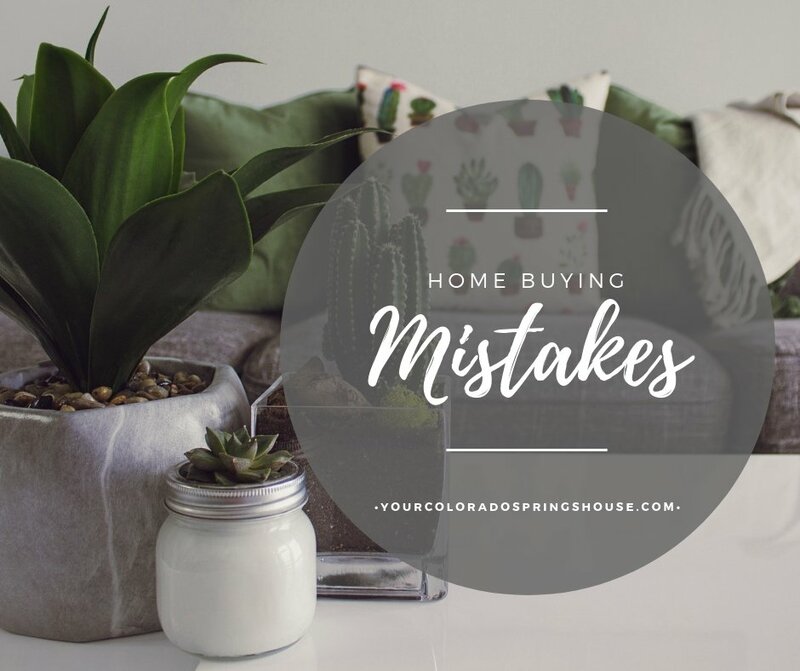 If you are a first time home buyer, contact us today to make sure you don’t make a costly mistake. While most programs are not exclusively for first time home buyers, there are a few that still apply. It’s important to know what’s available, especially since home prices have increased so much. Every penny that you can save on your payment will count, particularly when you are starting out. 1. Start early: Speak with one or more lenders (we recommend 3) to see what it takes for you to qualify for a loan. Your loan pro might recommend working on your credit, specific financial tasks you should do to be ready to buy a home, or they might suggest that you pay off more debt in order to get below the maximum debt-to-income-ratio. Don’t guess. Ask a professional. 2. As a first time home buyer, especially when you have some savings that you can use, you will definitely want to look into conventional loans. Private lenders might have their own programs for first time buyers. Fannie Mae and Freddie Mac loans require at least a 620 credit score, but private lenders might have different requirements. 3. Zero Down USDA Loan. This loan is not just for first time home buyers, but still something to investigate. It’s similar to a VA loan because you don’t need a down payment, but the home you are purchasing needs to be in certain rural areas. 4. CFHA (Colorado Housing Finance Authority) has the First Step ™ program for first time home buyers and other specific home buyer groups. They also offer down payment assistance and low or no cost mortgage insurance. Ask a participating lender about details. 5. Tax Credits for First Time Home Buyers: the Mortgage Credit Certificate gives home buyers an actual tax credit at time of tax return. Make sure that you actually have enough tax debt to apply this credit. You’ll need to own your home for at least nine years. 6. Colorado First Time Homebuyer Savings Account (FTHSA): You can save up to $50,000 towards a down payment on a home and any income or gain from these savings are tax free (forever!). Others can contribute to your account. It’s similar to the 529 college savings accounts. 7. 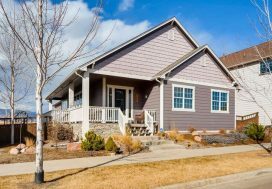 Home Modification Grants for Coloradans with Disabilities: While this program will not help you purchase a home, these grants will help you modify your home to accommodate a home owner’s disability.